Fishing destinations in the United States and around the world welcome anglers to fish recreationally and/or competitively. Popular domestic fishing destinations such as Florida, Colorado and New York offer a wide variety of freshwater and saltwater habitats for fish to be caught. Additionally, international fishing destinations such as Belize, Mexico and Australia can entice anglers who are no longer satisfied with local fishing spots in the U.S. Fishing trips can take place on freshwater or saltwater habitats and during warm or cold weather. Moreover, some of the best fishing destinations yield various types of fish, from bluegill to mahi mahi. In certain cases, an angler may need to rent fishing equipment, boats, charters and/or lodgings. Additionally, fishing guides may be of assistance for anglers to navigate a new environment, understand local regulations and explore the types of fish that are typically spotted in that region. How do you choose the best fishing trips based on season? Summer – Summer is the most plentiful season for fishing, yielding several great places to go fishing depending on an angler’s preferences. During summertime, Texas is full of kingfish, the Florida Keys is a great spot to catch tarpon, Louisiana offers many redfish and Boston is known for its striped bass. Additionally, anglers may consider international destinations such as the Bahamas, Mexico and Guatemala. Fall – As temperatures begin to decrease, freshwater habitats become more attractive for fishing than most saltwater environments. Thus, some of the best fishing trips during fall are the Green River in Utah, the Bighorn River in Montana, the Colorado River in Arizona, the Upper Colorado River in Colorado and the Lower Deschutes River in Oregon. Winter – When deciding how to choose a fishing destinations based on weather, winter does not provide ideal environments for fishing trips. However, you can still find great catches in certain locations, such as Oak Creek, AZ, the Trinity River in California, the Big Thompson River in Colorado, the Rapidan River in Virginia and the Henry’s Fork in Idaho. What are the family friendly fishing trips? Orlando, FL – Orlando’s Seven Seas Lagoon and Bay Lake are known for having a large population of largemouth bass. A family fishing trip to Orlando can also include excursions to theme parks such as the Walt Disney World, Universal Studios Resort and SeaWorld. Las Vegas, NV – Just outside of Las Vegas is Lake Mead, which is known for its large population of striped and largemouth bass. In addition, Las Vegas has entertainment for people of all interests and ages, such as casinos, circus shows, nightclubs and kid-friendly rides. San Diego, CA – Known for its several piers where anglers can catch anything from halibut to sharks, San Diego is considered a great family fishing vacation because fishing activities can be intertwined with time at the beach. Additionally, San Diego’s Dixon Lake has a large population of largemouth bass, thus making this city optimal for saltwater or freshwater fishing. Riviera Maya, Mexico – Mexican cities such as Cancun and Cozumel offer some of the best family friendly fishing resorts in the world, where fishing and non-fishing activities can take place and please the entire family. Moreover, anglers are known to catch sailfish, tuna, groupers, barracudas and snappers along the Riviera Maya coast. What are the best domestic fishing trips? Kobuk River, AK – The Kobuk River in Alaska is home to several rare species of fish, such as the arctic grayling and sheefish. Moreover, the river is approximately 280 miles long and is located in northwestern Alaska. Kona District, HI – Species such as tuna and mahi-mahi are often caught in the Kona district in Hawaii. On the Kona coast, anglers can also find the Kealakekua Bay, which is home to several historical sights. Martha’s Vineyard, MA – Located south of Massachusetts’ Cape Cod, the Martha ’s Vineyard Island is one of the most scenic fishing destinations in the United States. Additionally, the location is known for housing species such as albacore and bonito. Outer Banks, NC – The Outer Banks of North Carolina cover most of the state’s coastline and are considered great local fishing destinations for sea basses, trout and flounders. Moreover, anglers in the region typically fish from boats or practice fly fishing. The Florida Keys, FL – Tarpon, redfish, bonefish, marlin and swordfish are plentiful in the Florida Keys. Thus, anglers from around the world visit the Keys to take advantage of the deep water in the Atlantic Ocean. Thousand Islands, NY – The New York state area within the Thousand Islands archipelago is home to salmon, muskellunge, pike and walleye species. Moreover, the region is notable for having approximately 1,800 small islands and a large population of freshwater fish. What are the best international fishing trips? Belize – An ideal destination to catch tarpon, permit and bonefish, Belize is an English-speaking island in Central America that many anglers should consider visiting. In general, Belize is among the best countries for fishing due to its large population of fish and its short distance from the United States. Cabo San Lucas, Mexico – A fishing trip to Cabo San Lucas, Mexico is recommended to anglers who would like to catch a wahoo, dorado or marlin. Despite the fact that fishermen prefer visiting Cabo San Lucas during summer or fall, fishing is allowed there year-round. Cairns, Australia – Cairns is typically sought out by professional anglers who want to catch big game fish such as a black marlin. Moreover, Australia offers one of the best saltwater fishing in the world in comparison to other notable destinations. Malindi, Kenya – Anglers may find several types of marlins, sailfish, swordfish and spearfish off the coast of Malindi, Kenya. Additionally, the months of January and February encompass the Kenyan summer and thus offer the best chances for fish to be caught. Prince Edward Island and Nova Scotia, Canada – The region between Prince Edward Island and Nova Scotia is one of the best international fishing spots for anglers to catch a Bluefin. However, fishing enthusiasts must beware of the catch and release regulations in the region. Panama – Fishing trips to Panama typically yield the catching of fish such as a mahi or a wahoo. Moreover, traveling to Panama is a short trip due to its proximity to the United States. How do I find the best fishing guides? The guide must be licensed – All anglers must have a fishing license, including a fishing guide. Thus, a licensed guide will be able to physically assist anglers if they require any help. The guide must be familiar with the area – Fishing involves not only skill, but also experience. For that reason, it is best for you to choose a guide who is familiar with the regions where your fishing trip will take place. The guide must understand local regulations – When evaluating how to find a good fishing guide, anglers must take into consideration whether the guide has knowledge of local fishing regulations. For instance, only three groupers can be caught in Florida per day. The guide must specify prices – Fishing is an activity that can take several hours. Thus, the best fishing guides will provide clients with the exact amounts that will be charged for their services, which can range from $300 to $2,000. Before booking a service, anglers must be mindful of a guide’s price structure. Additionally, you are encouraged to tip a guide at the end of your trip. How do I book fishing charters? The type of habitat you will fish in – Charters can vary in price and availability depending on whether you will fish in a saltwater or freshwater habitat. For instance, charters that involve deep-sea fishing may be more expensive than those that stay close to the shore. How much you are willing to pay – Fishing charters can be large or small, shared or private, simple or luxurious. Thus, there are different fishing charter trip option prices and availability for each budget. Who the charter captain is – When you rent a charter for a fishing trip, you should also evaluate the charter’s captain. A captain’s level of expertise can make a significant difference when it comes to safety aboard a fishing vessel. Additionally, an experienced captain will be able to take anglers to fishing spots where a significant amount of fish is typically caught. What are the fishing destination events? The Big Bass Splash – This Dayton, Tennessee event is typically held in June. Because it is an event specific for bass, anglers compete for catching the best largemouth bass. The Big Rock Blue Marlin Tournament – Held in Atlantic Beach, North Carolina, this tournament focuses on blue marlins and is considered the most important fishing event in the state. The Del Brown Permit Tournament – As the name suggests, the Del Brown Permit focuses on catching permits. Generally, this event happens in Key West, Florida and is held in July. The Hawaiian International Billfish Tournament – This September fishing event is held in Kailua-Kona, Hawaii and focuses on blue marlins, black marlins and yellowfin tuna. The Lake Havasu City Striper Derby – This derby is one of the most significant events for fishing to be held in May. Moreover, the event is held in Lake Havasu City, Arizona and focuses on catching striped bass. The White Marlin Open – Every August, Ocean City, Maryland holds the White Marlin Open. As the name suggests, the event focuses on the catching of white marlins. The Yamaha Contender Miami Sportfish Tournament – When it comes to fishing destination events, the Miami Sportfish Tournament is second to none. Held in Miami, Florida during the month of May, this event focuses on snappers, tuna, sailfish and mahi-mahi. What are the best lodging options for fishing? Resorts – Resorts that offer fishing activities or provide transportation to fishing spots are some of the best places to stay on fishing trip situations. However, these are typically expensive establishments that certain anglers may not be able to afford. Hotels – When evaluating where to stay when fishing, an angler may consider a hotel as an obvious choice. However, hotels may have strict limitations regarding whether anglers can bring their fresh catches back to their hotel rooms. Campgrounds – Camping is one of the most common fishing lodging options for anglers who do not want to incur daily lodging expenses during a fishing trip. This is particularly true for anglers who spend all day fishing and simply need a place to sleep. Bed-and-breakfast – A bed-and-breakfast (B&B) is the best fishing hotel alternative for anglers who do not feel comfortable camping but also do not want to incur hotel or resort expenses. Thus, B&Bs are typically inexpensive and offer more flexibility for anglers to negotiate rates. What are the best fishing organizations? A place to meet people with shared interests – Certain anglers cannot share their passion for fishing with friends or relatives. By joining a club, they are able to make like-minded friends. For instance, a bass fishing club may be an optimal choice for anglers who are particularly passionate about different types of bass. Tips and resources for fishing – The best fishing organizations provide anglers with tips and resources to improve their fishing skills and knowledge. Thus, members of these organizations can acquire information regarding local fishing spots, techniques and seasonality. Organized tournaments among members – Some of the best local fishing clubs organize recurring tournaments for club members to participate in. Thus, personal connections made between anglers can be strengthened by these friendly competitions. What are the best seafood restaurants? Le Bernardin – Located in New York City, Le Bernardin has been one of the most well-known seafood restaurants since 1986. Pêche Seafood Grill – Pêche is one of the most famous restaurants for seafood in all of New Orleans, LA. The Clam Shack – The Clam Shack is a trailer that attracts tourists from all over the world to Kennebunkport, ME. The restaurant is famous for its fried clam strips. Son of a Gun – Located in Los Angeles, CA, Son of a Gun is renowned for its extensive seafood menu. How do I rent a boat for fishing? A boating license may be required – To rent a boat for a fishing trip in certain states, you may be required to obtain a boating license. If you do not have the interest or skill set to obtain a required boating license, you may hire a licensed individual to operate the vessel. Navigation skills are essential – Renting the best boat for a fishing trip is insignificant if the person who is operating the vessel does not know where to go, how to return or what to do in an emergency situation. Boats are susceptible to engine failures – It is not uncommon for boats to experience sudden engine failures. Thus, you must have the proper assistance or a general mechanical knowledge to overcome these possible obstacles. How do I rent fishing equipment? Fishing equipment rentals may be required for anglers who do not own fishing gear or who have left their equipment at home. 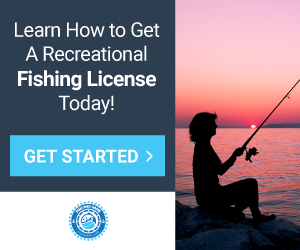 In general, there are various ways to rent fishing equipment, including government programs that make fishing gear available for free during certain events. Fishing enthusiasts wondering how to rent fishing equipment must conduct a search to assess rental prices and availability in each region. For instance, fishing pole rentals are typically inexpensive and widely available, whereas a fly fishing equipment rental may have a more limited availability depending on the region. Additionally, certain fishing boat rentals may include fishing equipment within their cost. What are the warm weather fishing destinations? Alaska – A great time to fish in Alaska is during summer, when temperatures are not as low as usual. For instance, fishing in hot weather in Alaska is particularly beneficial to anglers who want to catch a halibut. Florida – The Florida Keys are known for housing an annual tarpon migration during summer. Thus, this is one of the most significant warm weather fishing destinations in the country. Louisiana – Redfish are known for being absent in many regions during summer. However, that notion does not apply to Louisiana. From New Orleans to Venice, the state of Louisiana offers great fishing spots for warm temperatures. Massachusetts – Boston and the Monomoy Island are two of the best warm weather fishing vacation spots to catch striped bass in Massachusetts. Texas – Anglers who intend to catch kingfish may consider the coast of Texas as a primary fishing spot. For instance, Port Aransas and Port O’Connor are particularly notable fishing locations within the state. In addition, international warm weather fishing destinations include Cabo San Lucas in Mexico, Puerto Quetzal in Guatemala and the Bahamas. What are the best winter fishing spots? Colorado – Fly fishing in cold weather is optimal in several rivers located in Colorado. For instance, the Big Thompson River, the Steamboat Springs, the Yampa River and the Fryingpan tailwater are some of the best freshwater habitats in the state during winter. Florida – Florida is considered one of the best places for winter fishing in the country because of its typically warm winters. Thus, anglers can fish in the open ocean or from the coast in destinations such as Miami, Fort Pierce or the Florida Keys. California – California is known as a state with plenty of sun and warm weather. Thus, the state is considered a significant option for fishing in cold weather during wintertime. Locations such as the Trinity River, the Diamond Valley Reservoir and the Dixon Lake are known for being great fishing spots in California during low temperatures. Arizona – Arizona has one of the best winter fly fishing destinations in the country. For instance, anglers seeking to catch trout must consider visiting the Oak Creek area. Some of the best fishing destinations during winter are located in other parts of the world, where seasons occur during different times of the year. For instance, South America experiences summer during the winter months in the U.S., thus being an optimal destination for anglers who do not enjoy winter fishing.